A common myth about the Camino de Santiago is that there is "one route." People might ask if you "started from the beginning." But these people are referring to the Camino Frances, which is the classic and most popular route, but by no means the only one. If you want to be truly authentic, you should start your Camino from your doorstep. That's what the original pilgrims would have done—they didn't have the luxury of airplanes and trains to get them to the so-called beginning. For this reason, there are many routes to suit the diverse origins of the pilgrims. You don't even need to start anywhere near Spain. 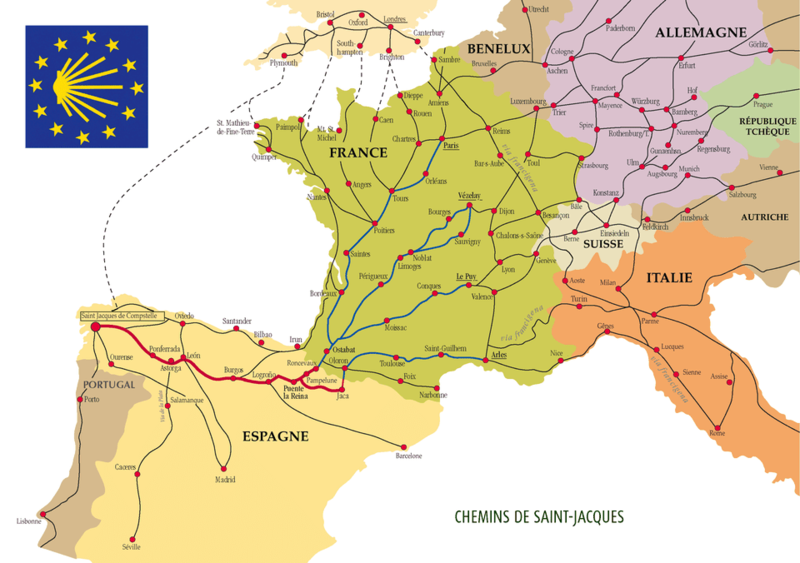 There are routes as far away as Poland, passing through Germany, Holland, and France and then into Spain. You can start from wherever is convenient for you. However, some routes are more traveled than others. You may also be wondering when to do the Camino de Santiago. Avoid winter, summer, and Easter on your Camino. This is the most famous and popular Camino de Santiago route. Eat in the best city for tapas in Spain, and visit the fantastic cathedrals of Burgos and Leon. Plus, all the tapas in Leon are free. This has a different first leg that joins the Camino Frances partway through. It is good for those coming from Barcelona, as they can start the walk a bit earlier. However, Jaca, which is the starting point, is harder to get for most pilgrims. This is the longest and most difficult Camino, starting from Seville. Many days are almost 20 miles, meaning you need to be fit for this route. Avoid this route in the summer when it will be painfully hot. Start your Camino in the fantastic Portuguese city of Porto. This is a short route and starts in Oviedo. It can be treated as an alternative ending to the Camino del Norte. This is an alternative ending to the route, taking you from Santiago de Compostela on to Fisterra—"end of the earth." Cities: None. Just small Galician villages.